This week's Deal of the Week is the Cricket Samsung Galaxy S8 for $349.99 when you port a number to Cricket. To get the deal price activate the ported number on a new line of service on the $30 or higher plan and pay for the first month of service plus applicable sales taxes on the phone. Ports from AT&T are not eligible for this offer which is only available online, not at Cricket stores. The S8 is Samsung's 2017 flagship and sold for $699.99 at launch. It features a Snapdragon 835 SOC, 4 GB RAM, 64 GB internal memory and support for microSD cards up to 256 GB. There's a 5.8 inch, 1440x2960px Infinity screen. The rear camera is 12 MP, the front facing camera 8 MP. The 3000 mAh battery is non-removable. TracFone Samsung J3 Galaxy Luna Pro (Verizon) 16 GB LTE Android phone with 1200 minutes, texts and MBs of data, one year of service, case, earbuds and car charger $79.95 (reg $79.99 w/o airtime) at HSN. $50 off qualifying unlocked phones when purchased with a $9.99 Cricket Mobile SIM and Cricket airtime. 4 Lines of $50 Unlimited Gigs Plan for $100 ($110 with Todo Mexico) Family plan promotion. New activations only, at least one line must be a port-in from a non-Sprint based MVNO or operator. 4 or fewer lines $100, 5 lines $125. Ends 416.
iPhone SE 32 GB $159.99 (reg $349.99), 128 GB $199.99 (reg $499.99). Unlimited Data For $40 For a limited time get $55/month Unlimited 2 Plan for $40 after $10/month port in bill credit and $5 auto play discount. Ends 4/12. 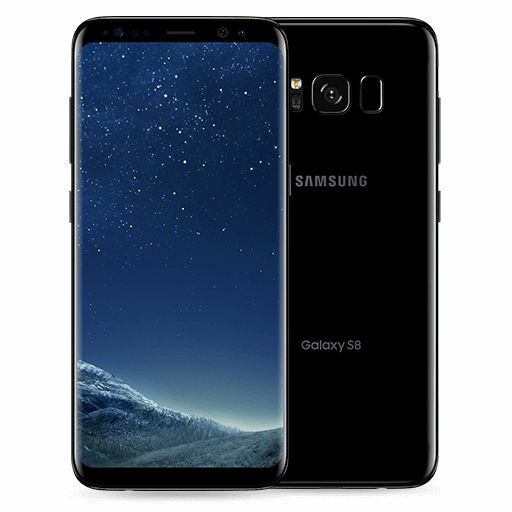 Samsung Galaxy S8 $349.99 (reg $699.99) online only when you port a number to Cricket. Ends 3/29. Free and Discounted phones for port-ins: Samsung Galaxy Amp 2, Alcatel Verso Free, LG Fortune Free, ZTE Overture 3 Free, CPO ZTE Sonata 3 99¢, CPO Alcatel Streak 99¢, CPO Alcatel Pixi Theatre 99¢, CPO Samsung Galaxy Sol 99¢, CPO HTC Desire 520 99¢, CPO HTC Desire 625 99¢, CPO LG Risio 99¢, CPO LG Spree 99¢, Alcatel PulseMix $9.99, LG Harmony $19.99, Alcatel Idol 3 $19.99, Samsung Galaxy Amp Prime 2 $29.99, ZTE Blade X $29.99, Alcatel Idol 4 with VR Goggles $39.99, LG X Charge $49.99, Samsung Galaxy Halo 16 GB $69.99, HTC Desire 555 $69.99, LG Stylo 3 $79.99, ZTE Blade X Max $79.99, Alcatel Idol 5 $129.99 when you port your number to Cricket. Verizon (or Verizon MVNO) Samsung Galaxy Note 4 N910V LTE VoLTE Android phone (manufacturer refurbished) $144.99 Free shipping. Verizon (or Verizon MVNO) Samsung Galaxy S5 G900V LTE VoLTE Android phone (new) $179.99 Free shipping. TracFone Samsung J3 Galaxy Luna Pro (Verizon) 16 GB LTE Android phone with 1200 minutes, texts and MBs of data, one year of service, case, earbuds and car charger $79.95 (reg $79.99 w/o airtime) Free shipping. TracFone Samsung Galaxy Luna (Verizon) triple-minute LTE Android phone with 1200 minutes, texts and MBs of data, one year of service, case and car charger $79.95 (reg $79.99 w/o airtime) $6.95 shipping. TracFone SamsungGalaxy J7 Sky Pro (Verizon) 16 GB LTE Android phone with 1000 minutes, texts and MBs of data, six months of service, case and car charger $89.95 (reg $129.99 w/o airtime) $6.95 shipping. Four lines of the unlimited $50 plan for $100 when you port a number to MetroPCS. Free Phones for port-ins: The Alcatel A30 Fierce, Alcatel Fierce 4, Alcatel GO FLIP, Alcatel TRU, Coolpad Defiant, HTC Desire 530, LG Aristo, LG Aristo 2, LG K20 Plus, LG Stylo 3, Moto E4, Samsung Galaxy J3 Prime, Samsung Galaxy J7 Prime, Samsung Galaxy On5, ZTE Avid 4, ZTE Avid TRIO, ZTE Blade Z Max and ZTE Cymbal Z-320 are free when you port a number that's not currently active on T-Mobile network to MetroPCS and activate on a $50 or higher plan. In stores only, while supplies last. iPhone SE 32 GB free or $150 off any phone at MetroPCS stores when you port an number and activate on the $50 or higher plan. Updated 9-Mar-2018: New items and price cuts since Sunday in bold. I have two lines with Red Pocket (AT&T) and I am very satisfied with them. Can one renew an existing account using Red Pocket plans on eBay? Thanks. A Red Pocket rep has confirmed on HowardForums that you can renew an existing eBay plan using the activation code in the eBay sale kits. Thanks for the replies. I still have 3 months on one line and 10 months on another. Those eBay prices are tempting but I am leery of buying so far in advance. RP sure is trying hard to win customers.